The company is based in Rossano Calabro, an enchanting town situated between the Ionian Sea and the Presilane hills, an area in which olive growing has always represented one of the oldest and most economically, socially and culturally important agricultural sectors. 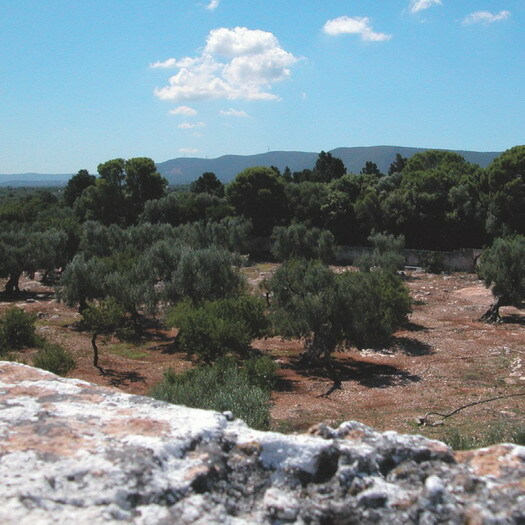 In this milieu, the Converso family has devoted themselves to olive cultivation since the 1800s. The oil of the Converso oil mill is currently produced with state–of-the-art technology, respecting tradition and product wholesomeness. In its production of olive oil, the family synthesizes all the experience, tradition and passion which through the years have bound together entire generations. The building, which dates back to 1967, was completely renovated and expanded in 2002. It is composed of a cistern room; processing facilities with a covered area for olive selection, washing and storage; packaging facilities for the extra virgin olive oil; factory outlet and offices. Con.Oil possesses an entire range of state–of-the-art agricultural implements for olive harvesting and selection and for transportation to the oil mill, in addition to vehicles for distributing the finished product. The olive milling system utilized is continuous cycle with centrifugation. The company directly manages and controls all of the production phases: harvesting, processing, storage, packaging and marketing. In order to guarantee safety, quality and transparency to their clients, Frantoio Converso has implemented a certified production process traceability system.